A member of the Normalization Committee (NC) Special Competition, Augustine Arhinful has disclosed there will be no changes to the kickoff time of various matches following complaints from some clubs. Some clubs have been complaining about the kickoff time of the competition whiles citing that excessive heat during the afternoon has been an obstacle for their players to give out their best. Notable amongst those calling for the change in kickoff time is Hearts of Oak head coach Kim Grant who expressed his displeasure following their 1-0 loss to Elmina Sharks last Wednesday. 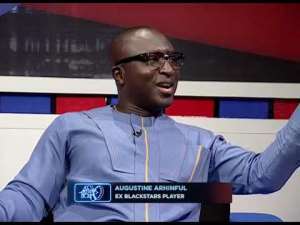 Addressing the concerns raised by the clubs, Augustine Arhinful insists that they will have to cope with the situation as the NC is working around the clock to ensure they meet the CAF deadline to be able to present clubs to present Ghana in the CAF Champions League and Confederations Cup next season. “It’s unfortunate that the weather is very hot but you see we only want to play the game and that’s it. We don’t want to go anywhere. We are supposed to present a candidate from for Africa from now until the 30th of June. “Kumasi, Accra, this are the two stadia so if the clubs will agree like in South Africa where sometimes they play matches because of television. If we want to play at the Accra Sports Stadium after this particular time then it can be scheduled and played if it is in the evening or whatever. Let’s try and make sure that it (the special competition) will be better”, he said in an interview with Class FM. In view of that, all matches coming on this weekend will be played at the usual 3:00pm kickoff time.